Bachelorette luau Hawaiian party themes – What a fun and exciting bachelorette party idea this one is, but you might want to take into consideration the time of the year as well as the place you are located. Generally speaking, parties with this theme are usually held outdoors so it wouldn’t be much fun having a tropical party in cold, rainy weather! Or if your up for it break out the decorations and create your own indoor theme! 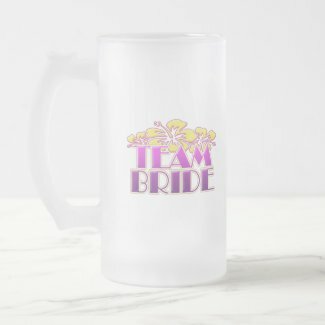 For example, you can organize to have the bachelorette party at the beach on a warm, sunny afternoon where everyone can attend wearing tank tops and grass skirts. There is really no limit to what you can use for party supplies with this bachelorette theme, just look around in magazines or movies for inspiration. Fully Customizable – add photos, names, sayings directly printed on Tank Tops! If you are planning to hold a bachelorette party during winter, then such a theme will not be appropriate because the weather conditions will not be favorable. However, if the weather conditions are favorable, then different types of bachelorette party games can help bring such a party alive. Examples of such activities include; taking part in hula contests, limbo, piñata, etc. Fully Customizable – add photos, names, sayings directly printed on Cards! In addition, food can be brought out to the party in which case you will have it prepared elsewhere and then brought over to the venue of the party. On the other hand, a bonfire can be lit and members of the party can participate in preparing the food. This alone will add a lot of fun to the whole party! It is clear that there are various ideas on which you can base your bachelorette party theme. However, as you organize for this party it should not be forgotten that this party is meant to be a memorable event for the bride-to-be and for all the other members that take part in the same. 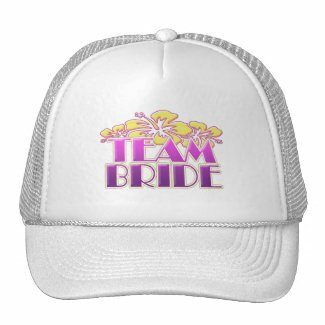 The bride-to-be should therefore be comfortable with all the activities that you include in the party. If there is any indication that she is not comfortable with something, you should be willing to substitute it with anything else that she is more comfortable with. After all, the whole party is basically meant to give her a good send off and so you should strive to ensure that this happens. First let me start of by saying thanks to for this blog. It is giving people a lot of great ideas for bachelorettes party ideas. According to my opinion, i think that this is the best theme idea ever. You don’t have to go to Hawaii to have your bridal shower; you will be bringing Hawaii to you. However, according to things how they look, the set ups must be used on a sunny day in the backyard. This is great for a bride who does not need a lot of movement and a simple party that does not include clubs and others. To my opinion I think that I can manage it because I love challenges. Thanks for this blog. However, I went to one of my friend’s bachelorette party and it was wonderful. I wish that it could be me. I saw that this type of parties saves a person a lot of costs when you compare to travelling to Hawaii with all your friends. Wow, all the fun I saw made me thing far and I had tears of joy. I did not believe it when they told me that they got this idea from this website. I had to look at it for myself and I have to say that you guys have a lot of ideas that I never thought they are applicable. But I will try them one day when am given the chance to prepare a bridal party.